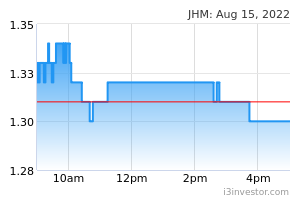 JHM rose 9.0 sen (+8.11%) to close at RM1.20 yesterday. Chart-wise, the share has broken above its 20-day SMA, which could signal a continuation rally. Notably, yesterday saw a long bullish candlestick signifying strong buying momentum. Coupled with its 50 and 100-day SMA in a possible “GoldenCross” formation, there could be more upside. Should buying momentum continue, we expect the share to test its resistance at RM1.22 (R1) and further ahead at RM1.40 (R2). Conversely, downside supports can be found at RM1.13 (S1) and RM1.03 (S2). 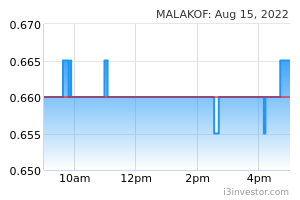 MALAKOF gained 5.5 sen (+6.11%) to close at RM0.955 yesterday on the back of stronger-than-average trading volume with 12.1m shares exchanging hand, almost doubled it 20-day average. Yesterday’s move resulted in a decisive breakout from its RM0.940 prior resistance level; to signal more potential upside ahead. Momentum indicators are seemingly bullish with MACD in bullish crossover while RSI and Stochastic continuing its upward movement. Should it manage to decisively break above the RM1.00 (R1) resistance, we expect for next advancement towards RM1.10 (R2). 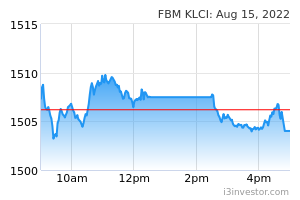 Conversely, downside risks are identified at RM0.875 (S1) support level and RM0.800 (S2).